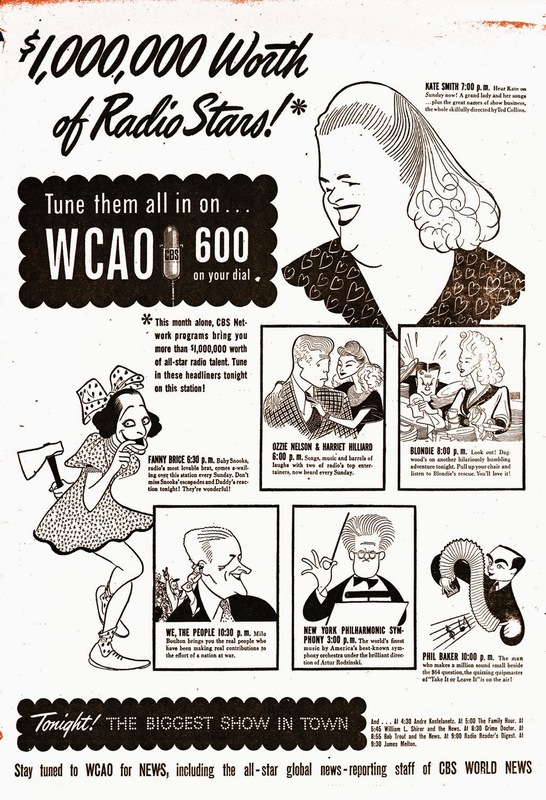 I can't believe it is already more than five years ago I shared a couple of ads Hirschfeld did for the CBS radio in the late forties. There were six daily ads in all, covering all of their shows. Recently I ran across another one of those, this time one complete page from what seems to be the year before that. 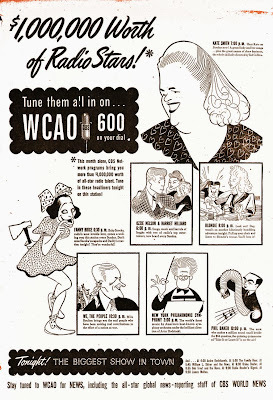 Some of the art was reused in the year after that, but this ad also covers a couple of new shows. For those of you who haven't seen the earlier version, I urge you to go and follow the label to the first post on Hirschfeld (even though I have misspelled his name every way possible in the years between).